Wikipedia states the following about Michael Joseph Jackson: His record sales increased eightyfold by June 29, 2009. Amazon sold out all Jackson and Jackson 5 CDs within minutes, outshining Elvis Presley and John Lennon after their sudden deaths. In Japan, six of Michael's albums made SoundScan Top 200 Albums chart, and in Poland, Thriller 25 topped the album chart, replaced by King of Pop the following week. In Australia, 15 of his albums occupied the top 100, four at the top ten, with three occupying the top three spots. He had 34 singles in the top 100 singles chart, including four in the top ten. Album sales were 62,015 for the previous week; singles tallied 107,821 units. In the second week, album sales tallied 88,650 copies. On July 12, four albums made the top 10 with three occupying the top three spots. In New Zealand, Thriller 25 topped the chart. In Germany, King of Pop topped the album chart, and from June 28 to July 4, nine of his albums occupied the Top 20 in Argentina. In Billboard's European Top 100 Albums, he made history with eight of his albums in the top ten positions. As of August 3, King of Pop has spent four weeks atop Billboard's European Top 100 Albums chart. The Collection also spent two weeks atop the same chart. In the UK, on the Sunday following his death, his albums occupied 14 of the top 20 places on the Amazon.co.uk sales chart, with Off the Wall at the top. Number Ones reached the top of the UK Album Chart, and his studio albums occupied number two to number eight on the iTunes Music Store top albums. Six of his songs charted in the top 40: Man in the Mirror (11), Thriller (23), Billie Jean (25), Smooth Criminal (28), Beat It (30), and Earth Song (38). The following Sunday, 13 songs charted in the top 40, including Man in the Mirror, which landed the number two spot. He broke Ruby Murray's 1955 record of five songs in the top 30. The Essential Michael Jackson topped the album chart, giving Michael a second number one album in as many weeks. He had five of the top ten albums in the album chart. In third week sales, The Essential Michael Jackson retained the number one position and Michael held three other positions within the top five. By August 3, he sold two million records and spent six consecutive weeks atop the album chart. He retained number one for a seventh consecutive week. Stateside, Michael broke three chart records on the first Billboard issue date after his death. The entire top nine positions on Billboard's Top Pop Catalog Albums featured MJ-related titles. By week three it would be the entire top 12 positions. Number Ones was the best-selling album of the week with 108,000 sales, an increase of 2,340 percent. The Essential Michael Jackson (2) and Thriller (3) also sold over 100,000 units. The other titles are Off the Wall (4), Jackson Five's Ultimate Collection (5), Bad (6), Dangerous (7), HIStory: Past, Present, and Future--Volume 1 (8) and Michael's Ultimate Collection (9). Collectively, his solo albums sold 422,000 copies in the week following his passing, 800,000 copies in the first full week, and 1.1 million copies in the following week of his memorial service. He also shattered a record on the Top Digital Albums chart, with six of the top 10 slots, including the entire top four. On the Hot Digital Songs chart he placed a record of 25 songs on the 75-position list. In the U.S., he became the first artist to sell over one million downloads in a week, with 2.6 million sales. By August 5, Michael had sold nearly 3.8 million albums and 7.6 million tracks in the U.S. Number Ones was the best-selling album for six out of seven weeks after his passing. By year's end, he had become the best-selling artist selling 8.2 million albums. He also became the first artist in history to have four of the top 20 best-selling albums in a single year in the U.S., nearly doubling the sales of his nearest competitor. He was the third best-selling digital artist of 2009, and within the year after his passing he sold nine million albums domestically, and 35 million albums worldwide. His estate made one billion dollars. Because of his monumental successes, Michael Jackson--the King of Pop--innocently courted disaster, and was finally murdered. Michael Jackson & Murder, Inc.
One month to the day after America memorialized the ten-year anniversary of the tragic events of 9/11, the world witnessed another heart-wrenching tragedy when a U.S. court allowed pre-autopsy photos of Michael Joseph Jackson to be flashed around the world on Tuesday, October 11, 2011. It was a violation of the worse kind, committed on an unprecedented scale, heretofore unknown in the annals of the modern GPS-satellite-tracking-iPod-iPad communications era. The philanthropic Steve Jobs is surely turning over in his grave. Michael can't. His body has been butchered. They humiliated him in life by taking court-ordered detailed photographs of his genitalia. They further humiliated him in death by displaying the outer shell of the man who once was the King of Pop--the King of Music. In my interview nearly two months ago with Michael's famed attorney Thomas Mesereau of the law firm of Mesereau & Yu, Tom accurately forecasted these foreboding words before the storm of the trial was ever visited upon us: "I'm not looking forward to the disquieting autopsy photos of Michael Jackson." My heart weeps for Michael's family, friends and associates, as well as his millions of fans and admirers. Many are convinced that the trial is all part of a charade to make Michael's death look like a accident--mob style. If so, it won't be the first murder by "accident." "One late afternoon, David got up from taking his nap and was strolling on the roof of the palace. From his vantage point on the roof he saw a woman bathing. The woman was stunningly beautiful. David sent to ask about her, and was told, ‘Isn't this Bathsheba, daughter of Eliam and wife of Uriah the Hittite?' David sent his agents to get her. After she arrived, he went to bed with her. (This occurred during the time of ‘purification' following her period.) Then she returned home. Before long she realized she was pregnant." --2 Samuel 11:2-5, Message Bible. To cover his adulterous misdeed David pulled Uriah from battle and attempted to coerce him into sleeping with his wife. (2 Samuel 11:6, 7) However, "After Uriah left the palace, an informant of the king was sent after him. But Uriah didn't go home. He slept that night at the palace entrance, along with the king's servants." (2 Samuel 11:8, 9, MSG) After the King asked Uriah why he didn't go home, Uriah answered: "My master Joab and his servants are roughing it out in the fields. So, how can I go home and eat and drink and enjoy my wife?" --2 Samuel 11:10, 11, MSG. ‘Make it look like an accident': "‘All right,' said David, ‘have it your way. Stay for the day and I'll send you back tomorrow.'" But, cunning as ever, the king invited Uriah to a lavish meal, and even got him drunk so he could go home and sleep with his wife. It didn't work though. (2 Samuel 11:12, 13, MSG) This now called for extreme measures. David put out a contract hit on Uriah with distinct instructions to Joab to make it look like an accident. He even had Uriah unknowingly deliver the contract to hit man Joab! "In the morning David wrote a letter to Joab and sent it with Uriah. In the letter he wrote, ‘Put Uriah in the front lines where the fighting is the fiercest. Then pull back and leave him exposed so that he's sure to be killed." (2 Samuel 11:14, 15, MSG) "Holy Hit Man, Batman!" shouts Robin. "Was King David the Original Godfather?" Joab carried out the hit, even going so far as to have other innocent soldiers killed to really make it look like an accident. (2 Samuel 11:16, 17) David and Joab even employed an elaborate scheme so that the king would know the contract met with success. (2 Samuel 11:18-25) And although Uriah's wife Bathsheba no doubt sincerely grieved over the death of her husband, she quickly got over it and married David shortly thereafter. (2 Samuel 11:26-27) Ironically, their son, wise King Solomon, wrote, "There is nothing new under the sun." --Ecclesiastes 1:9, New World Translation. Not surprisingly, all this intrigue and the extravagant measures taken did not go unnoticed by Jehovah God. Stay tuned. A red herring is "a fallacy in which an irrelevant topic is presented in order to divert attention from the original issue." According to family, friends, and fans, the trial of Dr. Conrad Murray, Michael Joseph Jackson's physician, is a red herring. Murray's the fall guy. The real culprits aren't part of the diversionary trial. Child Molestation or Drugs? : "One way or another, we'll get him." The AEG Edge? : Author and long-time Jackson confidant Leonard Rowe finds it curious that AEG didn't make a big stink over Michael's death at the hands of Conrad Murray. Examining the Estate: A billion dollars generated since MJ's death. None of his blood inheritors is in control. Something About Sony: Michael's death solves catalogue problem. Sony wins. No Noise from the Nation? : After coming to the rude awakening that racism exists in the record industry, a naïve Moonwalker strutted over to the Nation of Islam for support. He hired a security company owned by the NOI. No, he never joined them or any other Muslim group. He still held tenaciously onto Bible teachings as explained by Jehovah's Witnesses. Regarding his safety, certain observers, including family members, wonder why they didn't protect him. They say that if it was NOI leader Louis Farrakhan, it would have never happened. One family member even asked: "Were they paid to look the other way?" On Track with Black? : Though Michael had tremendous love for the entire human family, as an African American he never forgot his roots. Therefore, while he hired a number of people from various segments of the colorful human family, in his latter days he shifted his attention to people who looked like him. So, although the media is leaving it unsaid, the ones closest to him in his final days were Black people. His right-hand man, Brother Michael Amir (reportedly with the NOI), is a Black man. The head of his security, Faheem Muhammad (reportedly with the NOI), is a Black man. The nanny for his children, Rosalind Muhammad (reportedly with the NOI), is a Black woman. Before dismissing her, the nurse-practitioner for him and his children, Cherilyn Lee, is a Black woman. The chef that he charged with the responsibility of orchestrating healthy meals for him and his family, Kai Chase, is a Black woman. And finally, the physician that he entrusted his very life to, Dr. Conrad Murray, is a Black man--the one on trial for his death. The Tale of the Tapes: Most surveillance tapes are missing. A Third Party? : There are hushed whispers of a mysterious woman who actually committed Michael's murder, with Murray's tacit approval and cooperation. If true, this could explain why he isn't displaying even a modicum of a guilty man's remorse. Could this be the "someone" that a defense attorney said could have injected Michael? Could it be that Conrad Murray has the O.J. Simpson Syndrome--as Blacks understand it--"I was there. I didn't do it. I know who did. I'm not telling"? 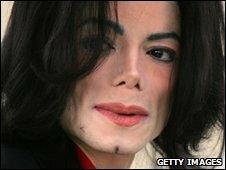 Deadly Sounds, then Silence: Was the coughing Murray's girlfriend heard in the background Michael Jackson's last gasps for air? Santa Monica Murray: Dr. Conrad Murray has been seen in Santa Monica, California, a swanky up-scale beach community often frequented by celebrities, buying a new tie for the trial, getting a manicure, and signing autographs. Media Madness: They crucified Michael as a sinner, now glorify him as a saint. No Silencing Sister Jackson: As one of Jehovah's Witnesses Michael's mother, Katherine Jackson, continues to engage in the door-to-door preaching work in her new neighborhood, even visiting the home of a very famous, legendary race car driver in the process. She finds solace and peace of mind in busying herself with theocratic activities, which goes a long way in helping to endure the unfillable hole left in her heart by the death of her son. Conclusion: For all those who stood to gain financially from Michael's demise, and who had a part--whether directly or indirectly--in his premature death, I would ask that you keep one thing in mind: 8.3 billion dollars couldn't keep Steve Jobs--God rest his soul--from getting sick and dying. As the trial of Conrad Murray winds down, stay tuned for my final article or two on the King of Music, Michael Joseph Jackson. Danke Brigitte für den Artikel. Allerdings ist es schwer zu verstehen. scheint aber hochinteressant. Kann das freundlicherweise jemand mal BITTE übersetzen? Ein roter Hering "ein Trugschluss, in denen ein irrelevantes Thema vorgestellt, um die Aufmerksamkeit von der ursprünglichen Frage abzulenken ist." Nach der Familie, Freunden und Fans, ist der Prozess gegen Dr. Conrad Murray, Michael Joseph Jackson ist Arzt, ein Ablenkungsmanöver. Murray ist der fall guy. Die wahren Schuldigen sind nicht Teil des Prozesses. Kindesmissbrauch oder Drogen? "So oder so werden wir ihn holen." In Bezug auf seine Sicherheit, fragen manche Beobachter, darunter Familienmitglieder, warum sie ihn nicht schützen. Sie sagen, dass, wenn es NOI Führer Louis Farrakhan war, es wäre nie geschehen. Ein Familienmitglied sogar gefragt: "Sind sie dafür bezahlt, den anderen Weg suchen?" Das Märchen von der Tapes: Die meisten Überwachung Bänder fehlen. A Third Party: Es gibt Flüsterton einer geheimnisvollen Frau, die tatsächlich begangen Michael Mord, mit stillschweigender Billigung Murray und Zusammenarbeit. Wenn das stimmt, könnte dies erklären, warum er nicht angezeigt wird, auch ein Mindestmaß an ein schuldiger Mann Reue. Könnte dies der "jemand", dass ein Verteidiger sagen könnte injiziert Michael haben? Könnte es sein, dass Conrad Murray den O.J. hat Simpson-Syndrom - wie Blacks es zu verstehen - "Ich war dort Ich tat es nicht Ich weiß, wer bin ich bin mir nicht sagen..."? Zuletzt geändert von Steffi0711; 29.10.2011, 23:42. Bitte nicht auch noch übersetzen, bitte nicht! Dieser Mann macht sich doch nur wichtig. Er will doch nur missionieren. Und dafür benutzt und mißbraucht er den Namen und Menschen MICHAEL JACKSON! Das kann, nein sollte, man nicht Ernst nehmen! Ja, Eva, dieser Mann will missionieren! ABer speziell in diesem Artikel tut er es nicht!!! Ausserdem sind doch interessante Informationen enthalten, die ich nicht ignorieren kann/will. Gerade dieser zweite Absatz - ob Kindesmissbrauch oder Drogen trifft für mich genau ins Schwarze. Michael sollte bereits 93 vernichtet werden, aber er stand immer wieder auf. 2009 - das war dann der Todesstoss! Michael selbst sprach von Conspiracy! Es ist alles sehr kompliziert und man muss sehr viel lesen und in verschiedene Richtungen denken und das tun hier sehr viel Menschen seit über 2,5 Jahren!!!! Firpo Carr drückt in diesem Artikel genau das aus, was auch ich denke und fühle !!! Das mit der 3. Person könnte er evtl. symbolisch bzw. im übertragenen Sinne meinen ! Zuletzt geändert von geli2709; 30.10.2011, 00:37. Ich auch, Steffi, ich auch! Ich habe fast alles gelesen, gehört, gesehen, wenn es um Michael Jackson geht. Seit dem 25.6.2009 bzw. ein Tag später, habe ich nicht einen einzigen Tag verbracht, mich nicht mit Michael und seinem Tun und den Dingen um ihn herum zu beschäftigen. Dieser Carr hat seine Informationen doch nicht aus anderen Quellen als wir. Er sagt doch auch nichts neues. Er deutet Theorien an, die schon seit der TINI-Bewegung im Umlauf sind. Aber gut, wenn einige der Meinung sind, das ist wichtig... Ich halte ihn für einen Wichtigtuer. Carr ist ein enger Freund der Jacksons und schon aus diesem Grund näher an allem dran als wir! Genau - es ist wie Geli schreibt. Er drückt ebenfalls meine Gedanken aus, ich fühle, dass er uns was sagen will, es aber nicht so direkt sagen KANN! Aus welchem Grund auch immer. Ja, und die haben den Durchblick, oder was? man kann den Carr belächeln, oder auch nicht. ist stehe nicht hinter Carr, aber ich "glaube", der weiß schon sehr genau, was er da so von sich gibt. außerdem haben wir uns monate lang mit Carr beschäftigt, das kriegt man nicht so einfach aus dem kopf, auch wenn man es vielleicht will. auch wenn ich mir manchmal sagen muß, hör auf zu spinnen Brigitte. bevor wieder rumgemeckert wird, ich schreibe nur meine gedanken nieder, sonst nichts. Zuletzt geändert von Brigitte 58; 30.10.2011, 21:50. GENAU Brigitte, das ist es! Man kriegt es einfach nicht aus dem Kopf und es ist KEINE Spinnerei. Carr weiss genau, was er schreibt!!! Nachtrag - Eva - weisst du was, spar dir doch deinen Sarkasmus! JA, ich denke schon, dass die Familie über mehr Informationen verfügt als wir! Wenn du hier nicht weiter lesen willst, dann wechsel doch einfach den Thread, aber höre auf hier Unmut zu stiften! Zuletzt geändert von Steffi0711; 30.10.2011, 21:47. Nachtrag: Liebe Steffi, warum so unfreundlich? Du hast mir doch mehr oder weniger unterstellt, ich würde mich erst seit kurzem damit beschäftigen und ihr euch seit 2,5 Jahren. Ich habe gesagt, dass dem nicht so ist, ich beschäftige mich auch schon lange damit. Das mit dem Nichtwissen der Familie in diesem Fall war nicht sarkastisch von mir gemeint. Das ist meine Meinung. Aber die stört dich wohl sehr. Schade. Zuletzt geändert von Eva; 30.10.2011, 23:22. Ich möchte jetzt hier niemandem in den Rücken fallen und es kann ja auch jeder von Carr halten was er möchte, aber ich halte inzwischen (und "inzwischen" ist bei mir schon ein längerer Zeitraum) nicht mehr allzu viel von dem, was Carr so schreibt - und ich bin ja auch jemand, der anfangs und in der ersten Zeit Carr Glauben geschenkt hat, jedenfalls zu einem größeren Prozentsatz, denn misstrauisch hatte mich schon ziemlich bald eine Pressemeldung MJs gemacht, mit welcher er Carr bat den Mund zu halten, sobald dieser sich über MJ betreffende Angelegenheiten äußern wollte (ich hatte damals die betreffende Meldung hier im Thread eingestellt, hatte sie auf der MJFriendship-Seite gefunden). Zu den Theorien der dritten Person - das kann ich mir ja schon lange sehr gut vorstellen und ich hatte auch ein paar Mal in den Spekulatiusthreads darüber geschrieben und in gewisser Weise kann es auch sein, dass Carr die Gedanken der Fans niederschreibt. Aber nicht, weil er mehr weiß, sondern weil er in den Fanforen dieser Welt liest und sich anhand der dortigen Meinungen und Theorien seine Texte zurechtbastelt (das meine ich mit "in gewisser Weise"). Davon bin ich schon lange überzeugt (in den amerikanischen Foren, deren Sprache er versteht, werden sicher ganz ähnliche Meinungen gepostet, wie hier auch). Er möchte sich bzw. seine Texte auf diese Weise für die Fans interessant und "lesenswert" machen und nutzt dieses Interesse (er weiß, er wird gelesen), um für seine Glaubensgemeinshaft zu missionieren, deren Botschaften werden dazwischen gestreut. Die Fans und auch MJ sind für Carr nur Mittel zum Zweck (meine Meinung). Zuletzt geändert von November; 30.10.2011, 22:04.